We have huge respect for our elderly. They deserve to be honoured. They deserve to have a voice. 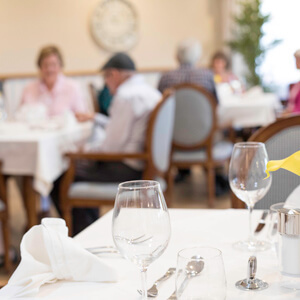 They deserve not just the best services and care, but a quality lifestyle in their golden years. We believe it is “A Lifestyle Deserved”. Berrington’s vision of offering a very high standard of care and quality of life, as well as not looking or operating like a hospital, is being well implemented by all levels of staff. When we (as is so often the case) urgently needed to find permanent accommodation for Dad, Berrington bent over backwards, going way beyond just doing a job. During a lengthy period in Hollywood Hospital our Mother… became very ill. This delayed her admission to Berrington on the agreed date. However, thanks to Fran Economo, the only available room at the time was held for Mum in good faith. Our mother became very unwell following a short period of two weeks in Sir Charles Gardiner Hospital. She was taken to hospital with a suspected back injury following several falls at home but deteriorated to the point of being unable to walk, feed herself and declining cognitive responses. 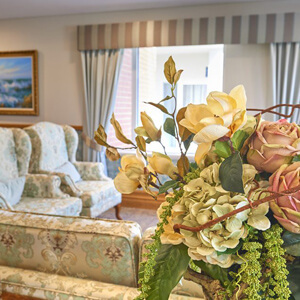 With urgent focus by Dr Blackwell …and all members of staff, Mum began to regain her normal strength and ability, and is now walking unaided…eating by herself and conversing excitedly with the staff and lovely residents. 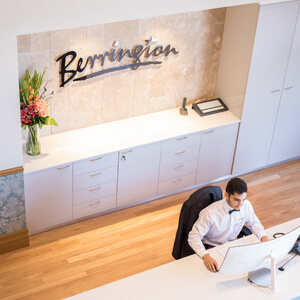 My parents moved earlier this year from an aged-care facility in Sydney to Berrington. Everything has gone well from the moment we arrived. 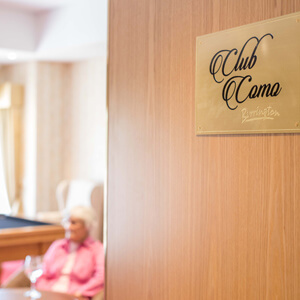 Straight from the airport, their suitcases were whisked away for clothes labelling and back in their rooms in no time, a dedicated carer was allocated to help settle Mum and Dad in and familiarise them with their surroundings. Another bonus, Mum and Dad arrived at Berrington on a Friday afternoon when there is Happy Hour – a glass of wine, some nibbles and many old favourites being played by the pianist all contributed to a successful ‘settling in’.